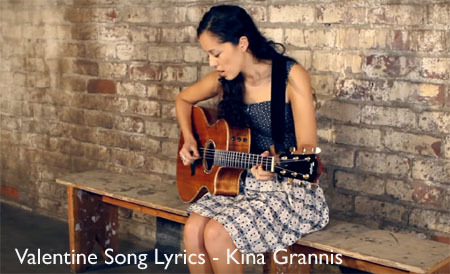 Valentine Song Lyrics by Kina Grannis: Valentine song lyrics written and sung by Kina Grannis. The video song directed by Ross Ching and produced by Noelle Kessler under the A Common Thread company. So, won't you be my honeybee?